As Mark’s two detailed posts have made clear, the conference was a great success. What I would like to explore further, however, is what the conference was like for me as a delegate and what those of you who did not attend missed! Firstly, the staff at Temple Newsam were an absolute joy from start to finish. 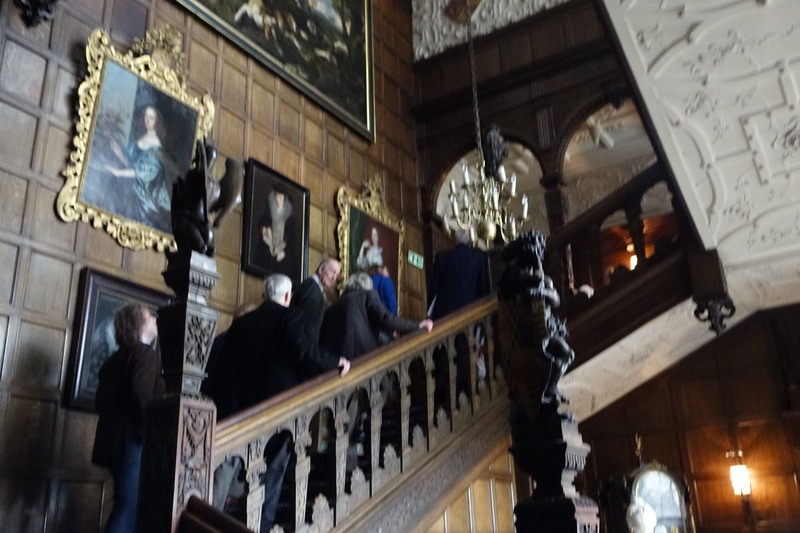 All conference delegates were given privileged behind the scenes access to much of the house, complicated by the fact that the property remained open to the public throughout. This meant that the visitor services staff in the house had to keep an eye on two different groups of visitors simultaneously and they managed what must have been a tricky task with consummate ease-whilst remaining good-natured and welcoming throughout. Thank you to you all. So what did the conference provide to a delegate? Well, apart from some lovely food (the canapés at the reception on the first night were a particular highlight but everything supplied by Salts was rather lovely-thank you to their brilliant staff too) I suppose the most obvious benefit was the chance to meet like-minded people from many different professions but all with a particular interest in the antiques trade. There were museum professionals, academics, students, dealers, retired dealers, a charming lady from a tour company that specialised in trips around arts and crafts period houses in Britain for foreign visitors, representatives of both of the major UK trade associations, antiques journalists and the odd interested collector as well. A real mixture. For me personally it was lovely to meet dealers whose items I had admired over the years and, in contrast to the often repeated line about not meeting your heroes, everyone was extremely pleasant and friendly and I spent many pleasant hours chatting away about the trade and dealers past and present. The highlight of my participation in the project has been my involvement with the oral history interviews-both conducting interviews and transcribing them-and so I was looking forward to Eleanor’s talk with particular interest. It certainly didn’t disappoint and I think it convinced any remaining doubters of the importance of capturing the opinions of a range of dealers with contrasting specialisms. This all felt like a vindication of everyone’s hard work on the project so far. A surprising number of delegates, myself included, had not visited Temple Newsam before and so another highlight was certainly the object in focus sessions. I chose to watch the Murray Cabinet being gently dismantled so as to demonstrate its many secret drawers and compartments, mainly because of that piece’s associations with Norman Adams (a firm that is a particular interest of mine). Ian Fraser, with ‘The Murray Cabinet’, sold to Temple Newsam by Norman Adams in 1986. 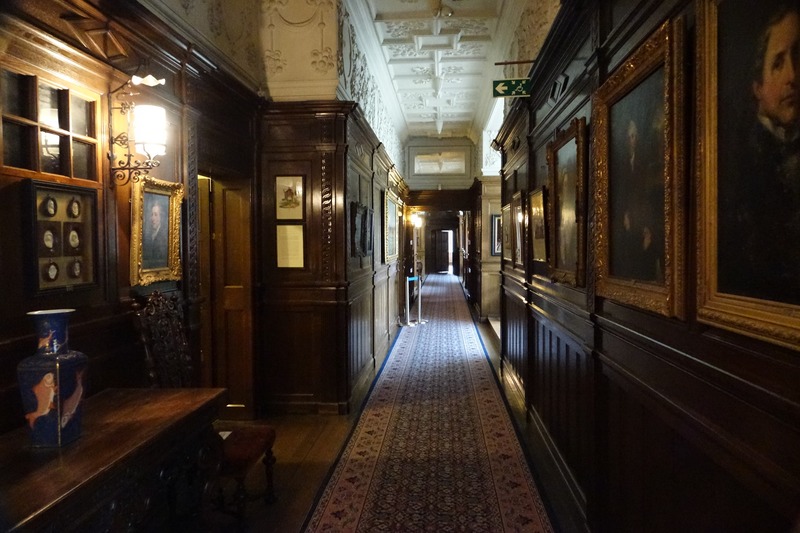 However after we had each looked at our object of choice, we were then able to wander around the house and most of us made sure that we explored every available room in the time available to us. The aforementioned evening reception finished off the day in fine style, and a special mention to the lovely music student who performed on the rather beautiful Broadwood concert grand to end a very interesting day. The second day involved rather more participation than the first and most of us were thinking about our choice of sandpit sessions before we had even finished registration! As English furniture is my primary interest, there was never any doubt about my choice of session in part one (I went for the death of antique furniture discussion) but for my second sandpit, I decided against joining the love or money group as, working in a museum, that sounded rather too much like the day job that I had been only too happy to leave behind for a while! I chose to attend the sandpit on professions or pastimes instead. The three talks in the morning were very interesting indeed and very contrasting in their styles. Mark W introducing Martin Levy’s talk. Martin Levy gave us a succinct and interesting run-down of Blairman’s history and left us in no doubt as to their significance in shaping the wider trade as a whole. Dominic Jellinek also gave us a brief history of Bluett’s, but concentrated rather more on the firm’s surviving archive and certainly left me thinking about the enormous potential of dealer archives and the ways in which they could be investigated (something Lizzie had also made very clear in her excellent talk on the Crowther archive on day 1). Finally, Chris Jussel’s talk was delivered more or less without notes and certainly without a PowerPoint presentation. I am much less a familiar with the way the trade developed in the US and found this talk extremely enlightening. The group discussion between some of the oral history interviewees was heated at times with plenty of opposing views. One particular comment (the person responsible will remain nameless!) about the participants representing “the faded aristocracy of the antiques trade” provoked strong reactions from some of those concerned. However this was a rare example of fraying tempers, something that in itself was quite admirable when you consider some of the trade rivalries over the years. I think it only fair to single out Mark Westgarth for particular praise at this point for having the vision to get the project started and for the tenacity to raise the necessary funds. The conference ran remarkably smoothly throughout, despite the problem with attempting to get so many delegates to stick to a timetable (something akin to herding cats) and this is in no small part due to the time that Mark and the project advisory board put into assessing the various scenarios and looking at where problems might arise. 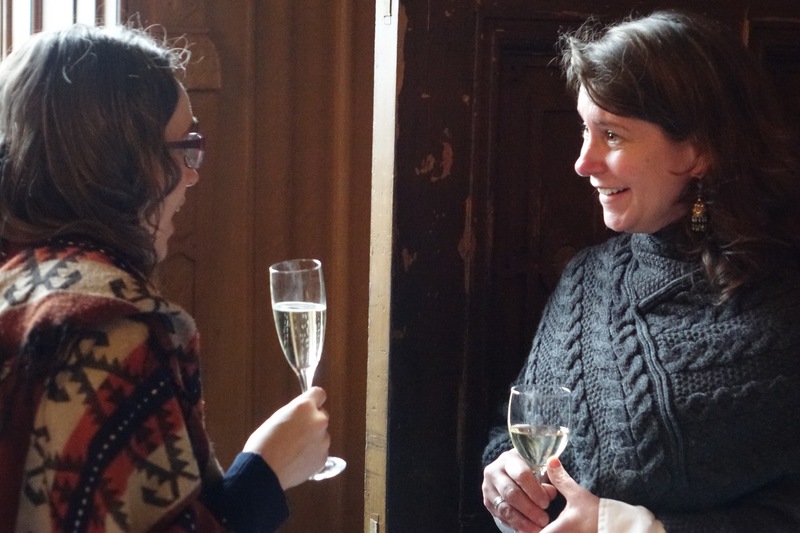 In conclusion, the project was an extremely useful and enjoyable experience that provided the opportunity to learn, explore the collections of an exceptional house, make professional contacts and socialise with a diverse yet friendly group of like-minded enthusiasts. A fitting end to one phase of a quite remarkable research project. 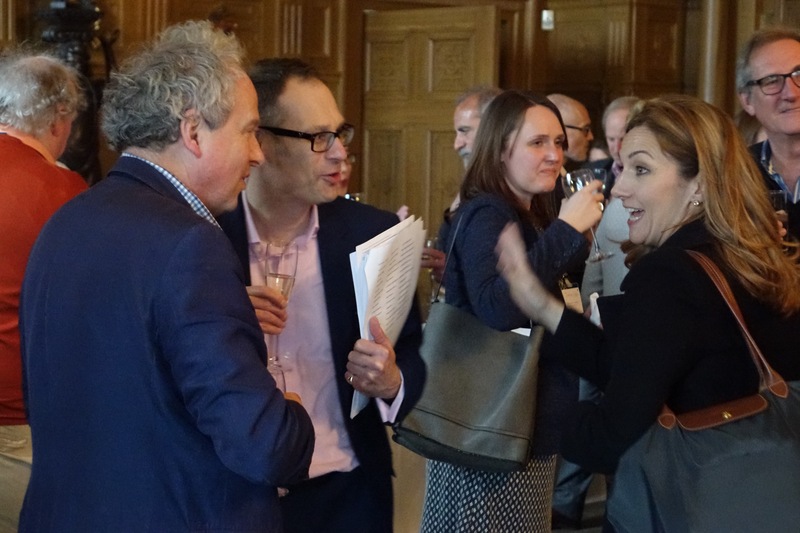 Antique Dealer Project Conference – Day Two…the Day of the Dealers! 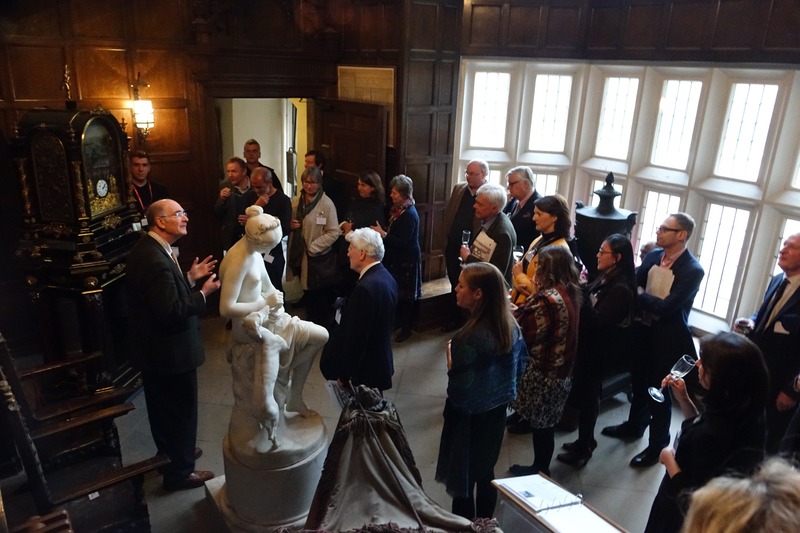 Further to our report on the first day of the Antique Dealer conference at Temple Newsam House (see previous blog post), here is a brief summary of Day Two of the Antique Dealer project conference, which we have named ‘The Day of the Dealers’. 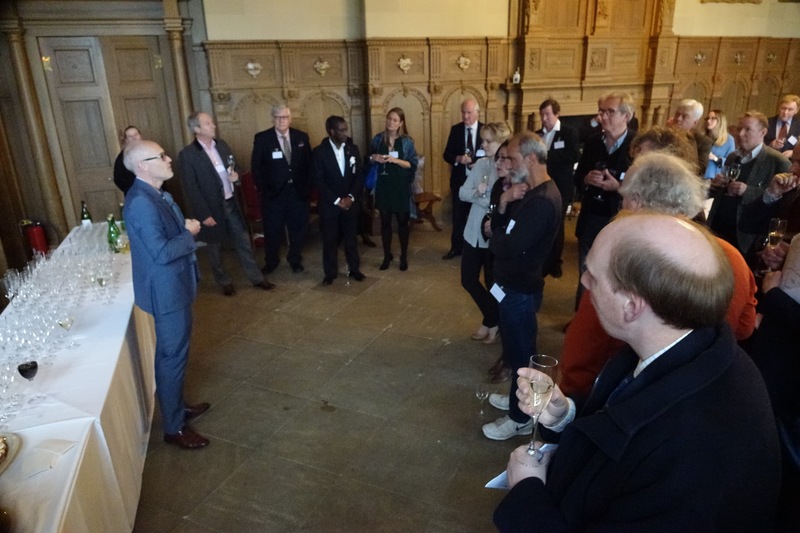 We wanted to focus on, and acknowledge, the knowledge and perspectives of the Antique Trade on the Antique Trade, as well as the exceptional generosity that members of the Antique Trade have given us throughout the research project. The day started with coffee/tea and welcome, as usual. Conference delegates, early morning tea/coffee on arrival. 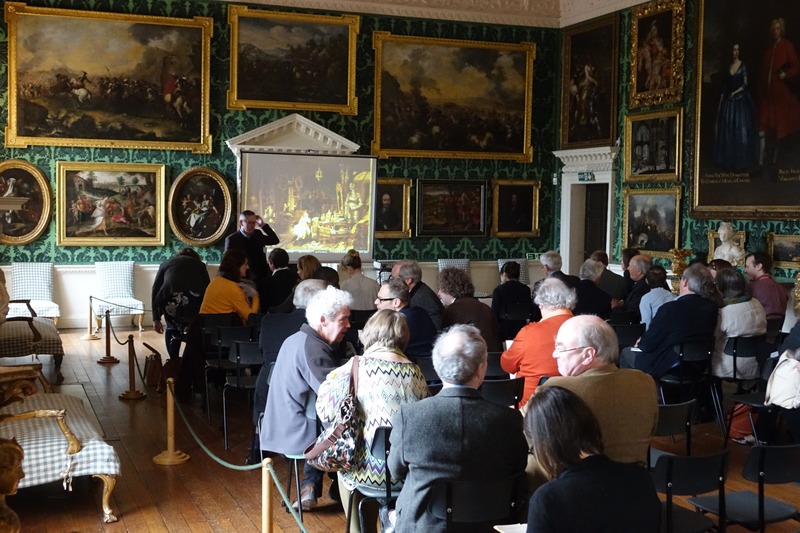 There then followed ‘the history of the antique trade’ from the dealers’ perspective, with three fascinating talks by some prominent members of the trade. 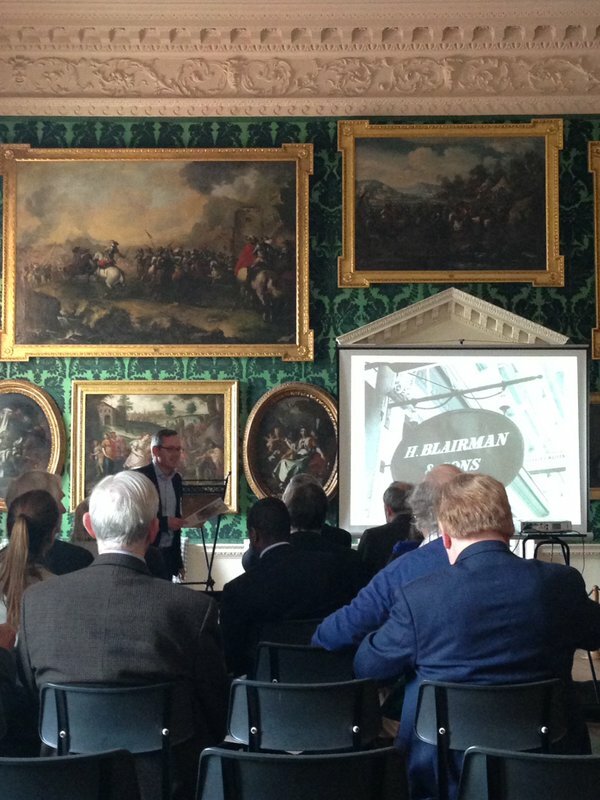 Martin Levy, of H. Blairman & Sons, started proceedings with a very engaging overview of the history of Blairman. It was quite a task…Blairman’s were established in the 1880s, but Martin’s family associations in the antique trade go back to the early 19th century, and the ‘curiosity dealer’ John Coleman Isaac….so almost 200 years of trading history, condensed to 20 minutes!…But Martin pulled this off with his usual erudite charm and insight. 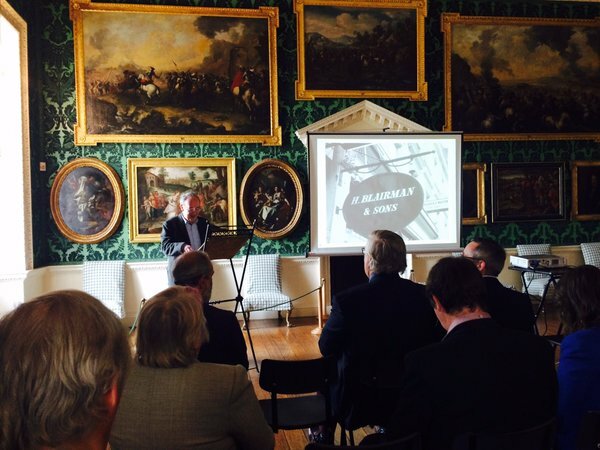 Martin Levy, of H. Blairman & Sons, at the Antique dealer project conference, ‘Day of the Dealers’. 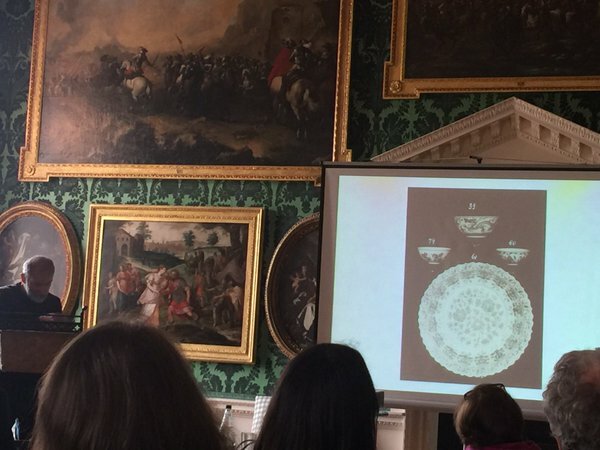 Following Martin’s talk on the history of H. Blairman & Sons we had a wonderfully detailed overview of the history of a very specialised antique dealing practice – that of the Chinese Works of Art dealers Bluett & Sons from Dominic Jellinek. Bluett were also established in the late 19th century, and Dominic, who also comes from a family of antique dealers, worked at Bluett’s from the late 1970s, until they closed in late 1990s. Dominic Jellinek, at the conference, giving a talk on the history of Bluett & Son, with some black & white images from the archive of Bluett. Bluett’s were one of the world’s leading specialist dealers in what we now call ‘Asian Works of Art’, as many of you will know. Dominic has been doing some fascinating research work on the Bluett archive for many years and his many insights into the history of Bluett’s, and the many spectacular Chinese ceramics and works of art that they sold, further illustrated the importance of antique dealer archives – something that the Antique dealer project has been very keen to highlight too – indeed, as many of you will know, our newly established Centre for the Study 0f the Art & Antiques Market at the University of Leeds is leading the way on highlighting, and demonstrating, the critical significance of the Antique Trade in cultural history – (and do keep your eye on the forthcoming activities of the Centre). As I say, the rich potential of archive material such as the Bluett archive, was brilliantly demonstrated by Dominic. Our final formal presentation in the opening part of the ‘Day of the Dealers’ was delivered by Chris Jussel (famous, as some of you will know, as the former Presenter of the USA version of the ‘Antiques Roadshow’) – But, more importantly (for the project!) Chris is also the son of Stephen Jussel, formerly of the leading antique dealer firm of Vernay & Jussel – itself established in 1906 in New York, by Arthur Vernay. And Chris came all the way from the USA to talk to us and to participate in the Antique Dealer conference! Chris Jussel, presenting his paper on ‘The Transatlantic Migration of British Antique Dealers to America, 1890-1920’. Chris gave us a beautifully presented paper on the key role that British antique dealers played in the development of the antique trade in the USA around the turn of the late 19th and early 20th centuries. Indeed, one could almost hear a latter-day Paul Revere, exclaiming to the American public, ‘The British are coming!…the British are coming!…..’ such was the impact of these British dealers on American collecting and the development of American museums – (it’s worth remembering too that Arthur Vernay, to whom Chris Jussel’s own history in the antique trade is so inextricably entwined, and one of the leading dealers in the USA, was also an expat from Britain). Chris outlined the significance of the impact of the arrival of British antique dealers in New York – C. Charles (Joseph Duveen’s brother, who was paid £5,000 a year by Duveen not to use the family name – hence ‘C.Charles of London’). We also heard about Stair & Andrew, Arthur Vernay himself, and many other British dealers besides. Chris Jussel at the Antique Dealer conference. Chris’ talk not only provided us with fascinating insights into the practices of the antique trade and the role and impact of these important transatlantic relationships, but also highlighted the extraordinary future potential of continuing the research into this key dynamic…… as Chris himself acknowledged, ‘there’s so much more to do!’. 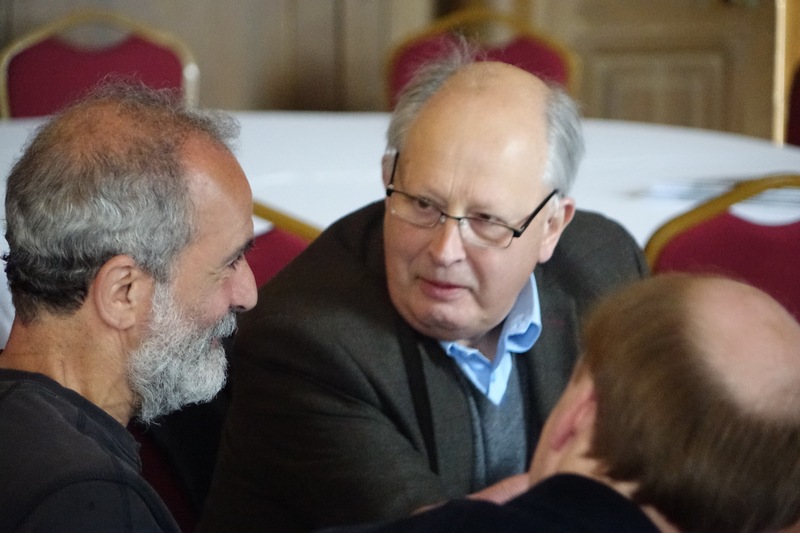 We certainly needed to continue the discussions that the 3 key perspectives of Martin, Dominic and Chris gave us – and an animated chat over tea and coffee followed! Our next session continued the theme of the ‘Day of the Dealers’, and here we had a group of our Oral History interviewees ‘In Conversation’ – in conversation with themselves, and with the conference delegates. Our dealer interviewees were composed of a selection of those dealers that had participated in the Oral History research as part of the Antique Dealers project – Gary Baxter (of H.C. Baxter & Sons); Robin Butler (of Robin Butler Antiques); Lennox Cato (of Lennox Cato Antiques); Georgina Gough (daughter of R.A. Lee); Dominic Jellinek (of Bluett & Son); Chris Jussel (of Vernay & Jussel); Martin Levy (of H. Blairman & Sons); Tony Lumb (of Charles Lumb & Sons), and Jerome Phillips (of Phillips of Hitchin). We wondered what such a gathering of dealers could be called?…Martin, and many others called out the obvious! – ‘A Ring of Dealers!’…. The ‘In Conversation’ session at the Antique Dealers Conference. 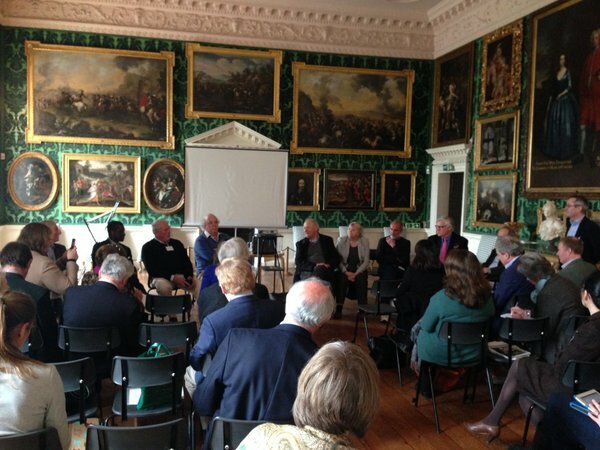 ‘A Ring of Dealers’ at the ‘In Conversation’ session at the Antique Dealers Conference at Temple Newsam House, Leeds. 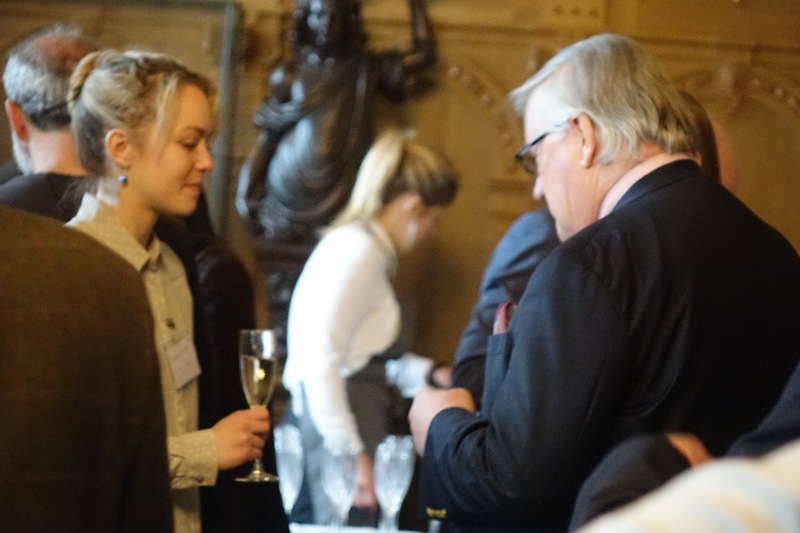 The ‘In Conversation’ session proved to be very successful, with lots of animated discussion on the history of and changes to the antique trade, especially as it was reflected in the recent memories of the dealers present – and there were some interesting perspectives on the future of the antique trade…Thank you again to all our Oral History interviewees for participating! Following yet another lunch, the conference got down to full particpatory mode, with our infamous ‘Sandpits’!…this final session of the conference had been designed to ensure that everyone attending the conference had the opportunity to contribute to the debates on the history of the antique trade in Britain – and we certainly had some fascinating contributions, reflections and perspectives. 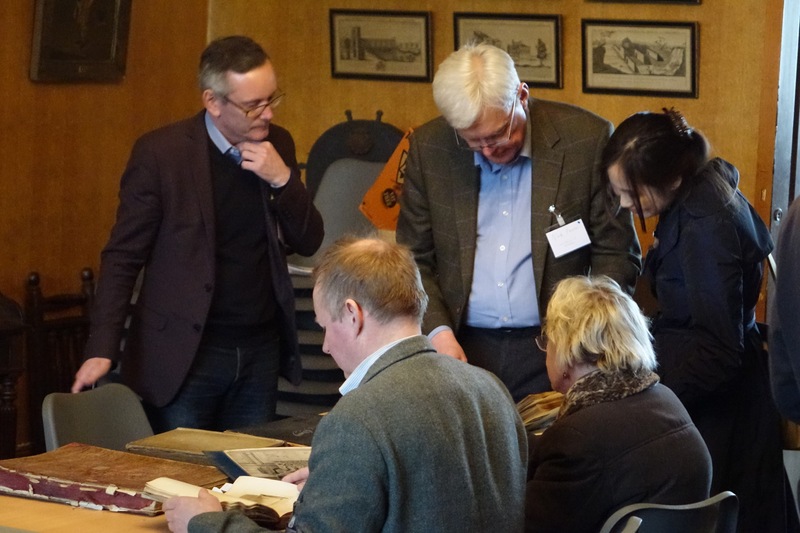 The ‘Sandpits’ were themed around some of the main issues that have either been part of the research questions that have driven the Antique Dealers research project, or had emerged as a result of the on-going discussions. We had 4 facilitated group discussions, 2 before a tea/coffee break, and 2 after the break. Participants were divided into each of the 4 groups, and each group had a facilitator (thanks again to those that stepped forward to lead a group!…) and a ‘scribe’ to capture the discussion – we also recorded the discussions on our digital audio recorders, with the permission of all participants, as part of the further research for the project – thank you again to everyone for being so generous! Our groups were themed – Group One had the theme of ‘So what, exactly, is an antique?’, Group Two’s theme was ‘The end of Antique Furniture?’; the theme of Group Three was ‘For the Love of Art, or Money?….the Antique Trade and Museums’, and finally Group Four’s theme was ‘A Profession or a pastime?….the social geography of antique dealing’. We had an extraordinary series of rich responses from all of the groups, with much discussion and debate – each of the groups also fed back to the main conference with summaries of the key elements of their respective group discussions…so everyone at the conference had a chance to hear what other ‘Sandpits’ had debated and discussed. We are presently composing a summary of all of the discussions, which will be available via the Antique Dealers project websites – see keep your eyes open! Finally, on behalf of everyone involved in the Antique Dealers Research Project Conference, I’d like to say a BIG THANK YOU to everyone at the conference – it was an amazing, if slightly exhausting 2 days! One final photograph (thank you again to Reinhold for all the photos that he took…all 184 of them! 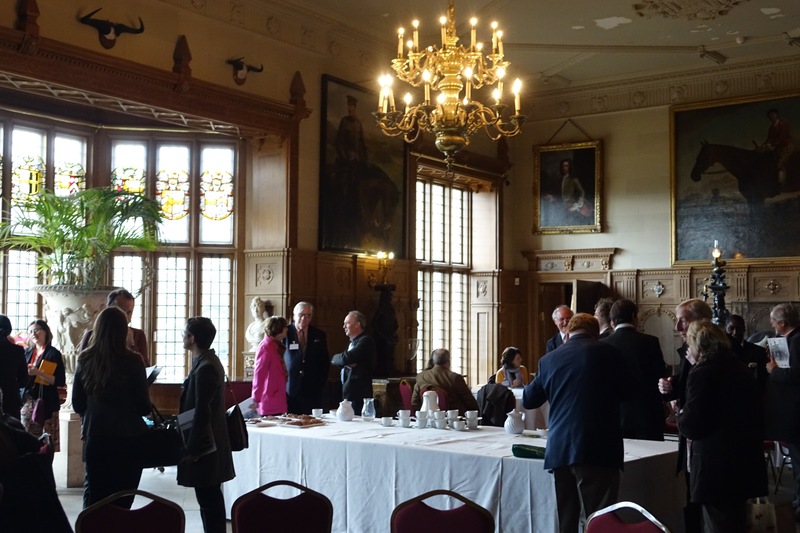 )….Here’s most, not all, of the conference delegates…in the Great Hall at Temple Newsam House, day ONE. 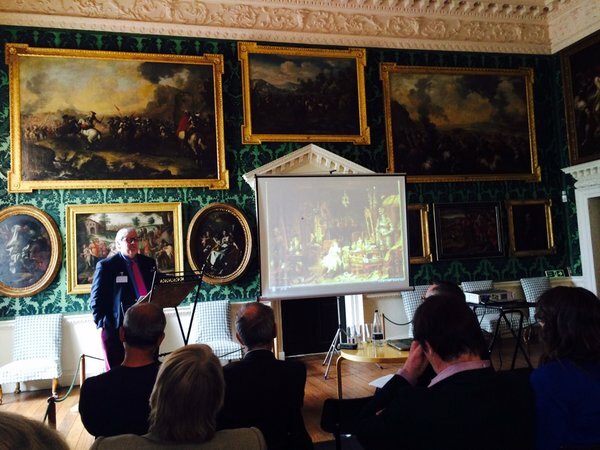 Antique Dealers Conference, Temple Newsam House, April 2016. 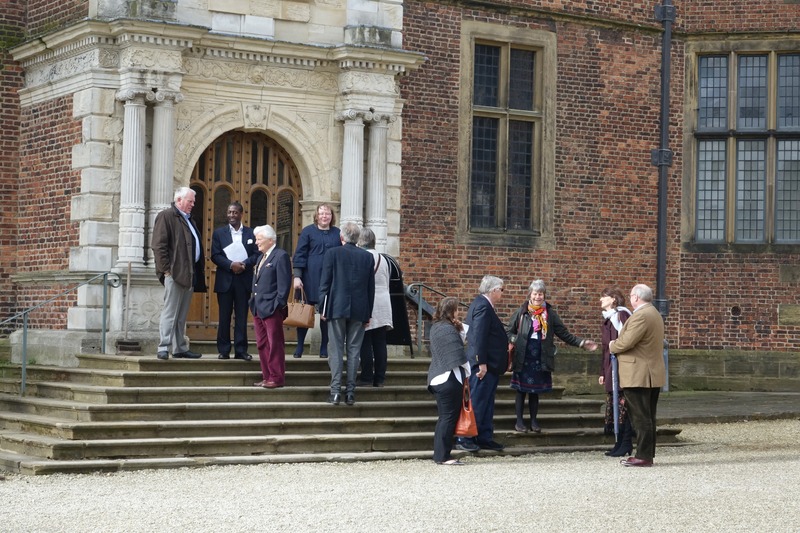 Some Conference Delegates arriving at Temple Newsam House. 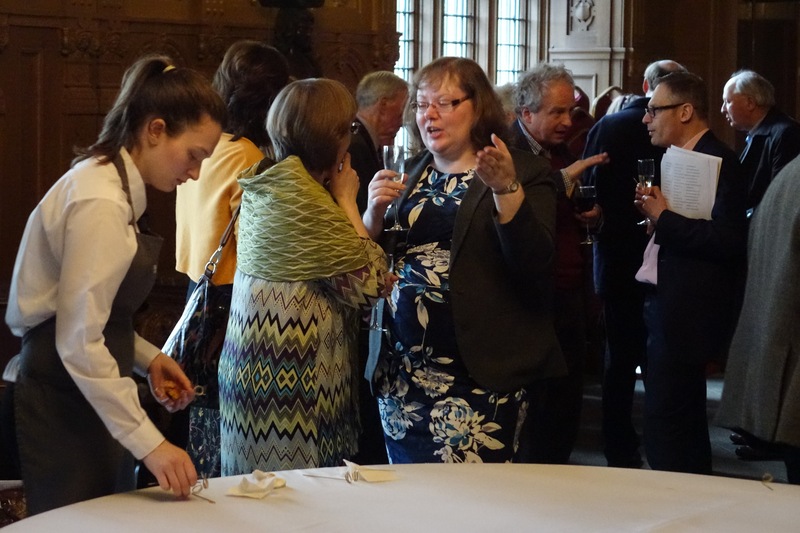 It was an exhausting programme of talks, tours, object and archive sessions, oral history ‘in conversation’ sessions and ‘sandpits’!….but we had lots of refreshments (and wine and canapés) to keep us all going! Alex Puddy, Frances Allitt, Mark Bridge, Andrew Jenkins, Tim Corfield, at the Conference. 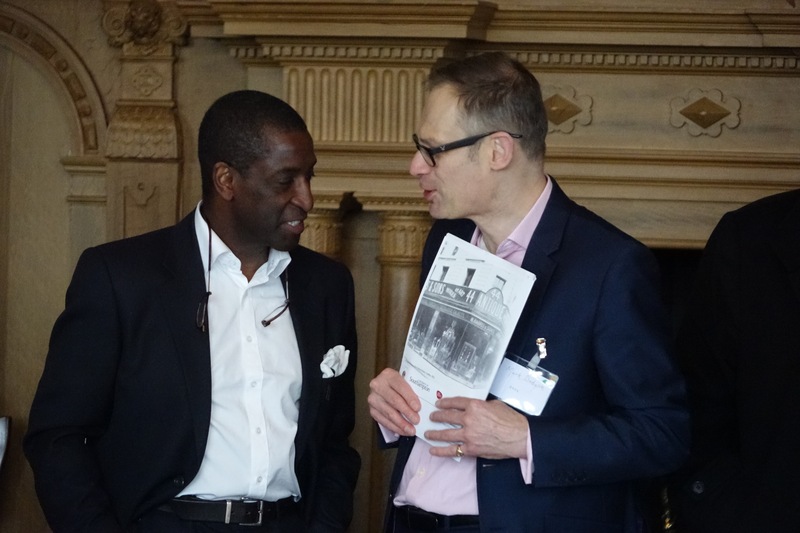 Dominic Jellinek and Jerome Phillips at the conference. And then Eleanor Quince (Co-Investigator) from the University of Southampton, presented a brilliant summary of the 50 hours of oral history recordings we have done so far – an edited version of Eleanor’s talk will be posted into the Antique Dealer project website – as an introduction to the Oral History Pages on the site, so do take a look! 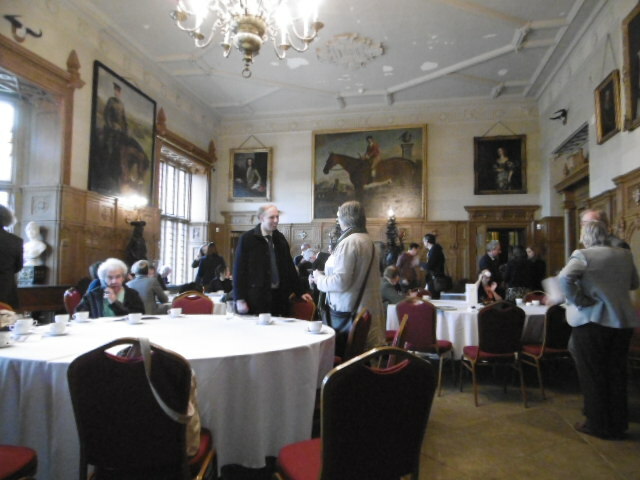 One of the tea breaks at the conference, in the Great Hall at Temple Newsam House. After a break for tea, coffee and amazingly tasty cookies (thank you to Salts Catering! ), Lizzy Jamieson, our project research fellow, gave a fascinating presentation on just one of the many antique dealer archives that we have been investigating – that of Crowther & Sons, the well-known architectural salvage dealers, trading in various locations in South West London. 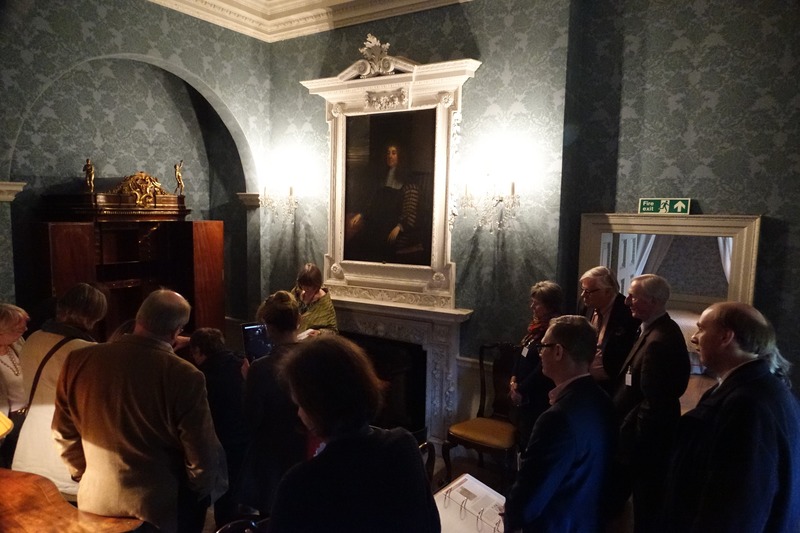 Following a delicious lunch, we began our ‘Hidden Histories’ tours of Temple Newsam House – the aim here was to ‘re-wire’ the museum by focusing on the objects in the collections and their history as objects that had entered the museum through the auspices of the antique trade. We had four discrete, but related tours, all led by a combination of curators, academics, and, importantly for the project, Antique Dealers – for each tour we highlighted key museum objects, and rather than doing the more conventional museum tours that focus on the art historical aspects of the museum objects, we directed attention to the art market history of the objects (quite a contentious thing to do in a museum of course!…). And so, the history of famous Library Writing Table, made for Harewood House by Thomas Chippendale in the 1770s, was re-routed through the history of the art market – here the object was part of a complex network of collectors, philanthropists, curators and dealers (specifically the famous London antique dealers, H. Blairman & Sons) in the mid 1960s. The table was sold at Christie’s, London, on 1st July 1965 (lot 57) and purchased on behalf of Leeds Museums & Galleries by George Levy of H. Blairman & Sons for the then world record price for a piece of English Furniture, at 41,000 guineas (a guinea was/is £1 & 1 shilling) or £43,050. 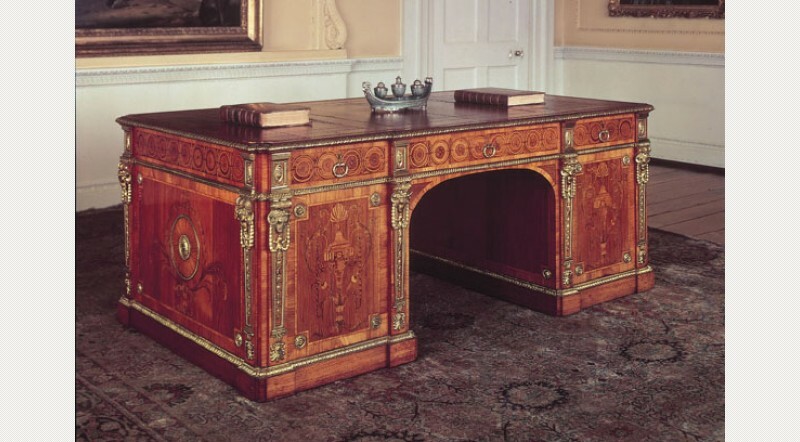 Library Writing Table, c.1770, by Thomas Chippendale, made for Harewood House, Yorkshire. Acquired for Temple Newsam House in 1965, through Blairman & Sons, for £43,050. Photograph courtesy of Leeds Museums & Galleries. Part of the objectives of the Antique Dealer research project has been to foreground the art market history of objects in public museums, and to further reflect on the displacement of these highly significant stories from museum histories…. 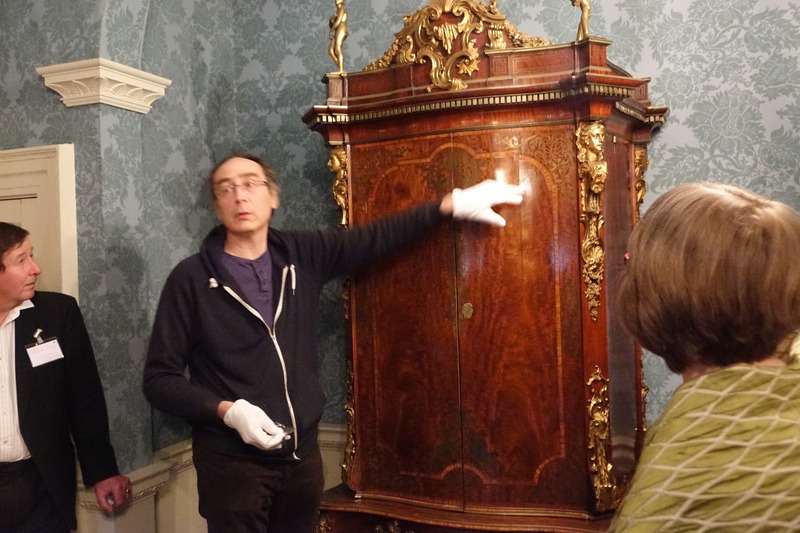 Ian Fraser, conservator at Temple Newsam House, demonstrates the complex series of secret drawers in the famous ‘Murray Cabinet’ (made by John Channon in c.1750) to some of the conference delegates. After the Tours we had some more conventional objects sessions, where some interesting objects at temple Newsam were the focus of small group, specialist-led, sessions; including the famous ‘Murray Cabinet’, made c.1750 by John Channon – but also, and importantly as far as the research project is concerned, sold to Temple Newsam in 1986 through the English Furniture specialists Norman Adams Limited, London. After the objects sessions we arranged for all of the conference delegates to see some of the amazing antique dealer archives and related ephemera that have been donated to the Brotherton Library Special Collections at the University of Leeds, which were on display in the Still Room at Temple Newsam. We had displays of archive material from Phillips of Hitchin (and with Jerome Phillips himself on hand to explain the material! ), as well as archive material from Roger Warner (with Sue Ashton (and Hugo, her husband) the daughter of Roger Warner on hand to comment on the archive material) – as well as some archive from Charles Lumb & Sons, that Tony and Mary Lumb very kindly brought over to the conference, and again were on hand to explain the documents! Mark W, Nick Pearce, Mingyuan Hu, Mary Lumb and Nicolas Oddy, exploring the antique dealer archives. 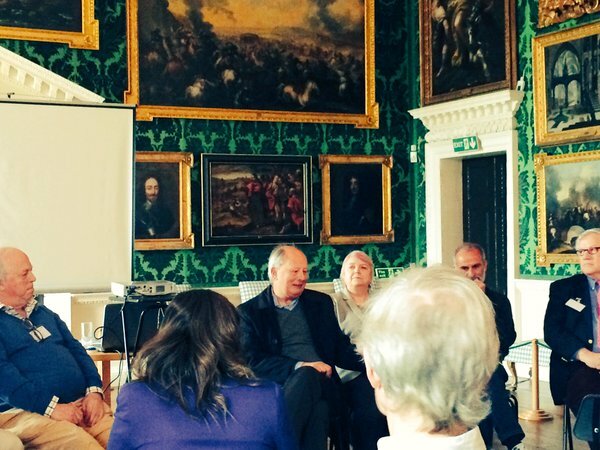 Various discussions in the ‘archive session’ in the Still Room at Temple Newsam House. In the foreground, John Hudson, Tony Lumb and Robin Butler. Lennox Cato & Mark Dodgson. We also had some archive material dating from c.1915 from Stair & Andrew, the early 20th century antique dealers, as well as a wide range of antique dealer ephemera – dealer catalogues from Charles Duveen, A.W. Little, Edgar Gorer, S. Richards, Partridge & Co etc etc….. The archive session proved to be a huge success I think, judging from the many animated discussions in the Still Room. 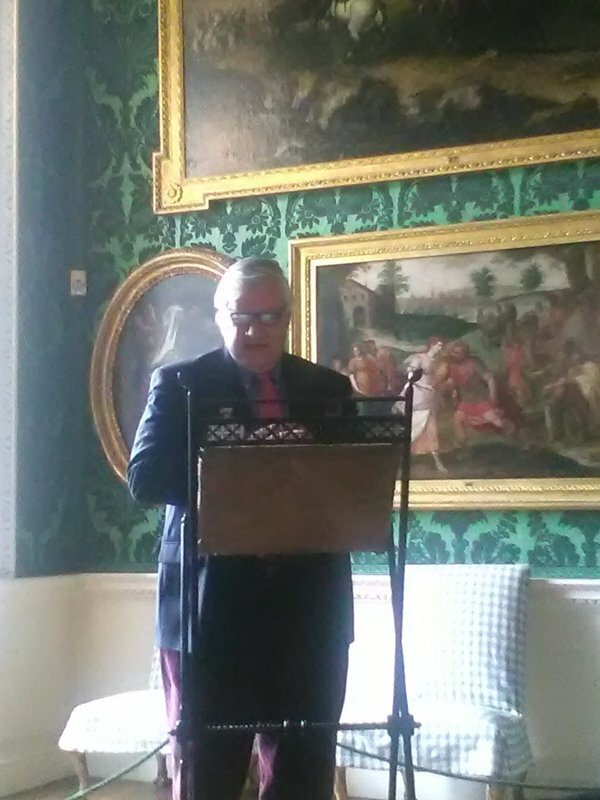 We also had a very generous speech from Marco Forgione, the CEO of the British Antique Dealers’ Association. Marco Forgione, CEO of BADA at the Conference reception. The first day of the conference ended with the playing of the spectacular 18th century Organ Clock, made by George Pyke in the 1740s – which fascinated the conference audience! James Lomax, explaining the George Pike organ clock to the conference delegates. I’ll post a blog about an equally fascinating DAY TWO of the conference shortly – the DAY OF THE DEALERS! 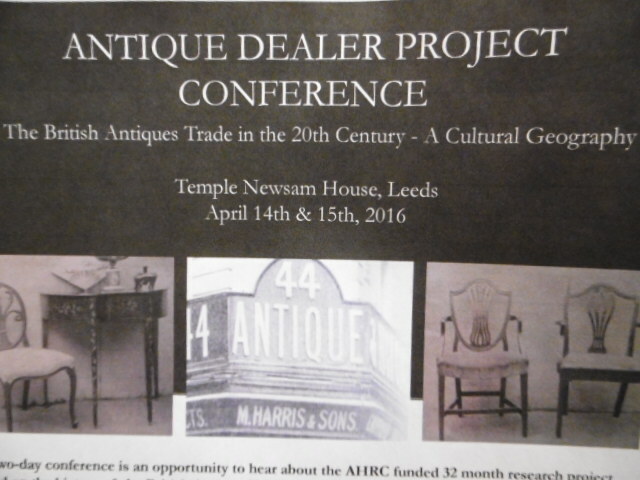 We are on the final straight for the AHRC Antique Dealers project Conference – which takes place at Temple Newsam House, Leeds on Thursday 14th & Friday 15th April – this coming week! We are also very pleased to announce that the British Antique Dealers’ Association (BADA) have very generously sponsored the conference – The BADA are sending their Chief Executive, Marco Forgione, and their Secretary General, Mark Dodgson, to the conference, as a further demonstration of their commitment and support to the project – thank you BADA! Our conference preparations are going well, with all of the Temple Newsam House tours now finalised – we are taking an unusual (for a museum anyway) tour through the spectacular museum objects on display at Temple Newsam – the narrative will be objects that have entered the collections via the Antiques Trade, or through the auspices of Antique Dealers – so that’s just about every object at TN of course, but we are highlighting particular objects and their history in the antique trade as part of the tours. The tours will be led by museum curators, and antique dealers, so we hope that there will be lots of things to discuss! 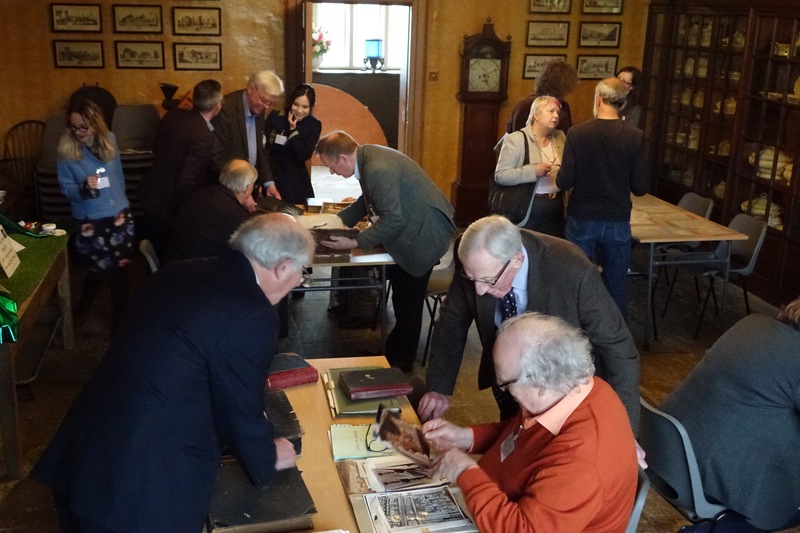 We are also showing various antique dealer related archives, and ephemera associated with the Antique Trade as part of the activities on the first day of the conference – much of the material is exceptionally rare. 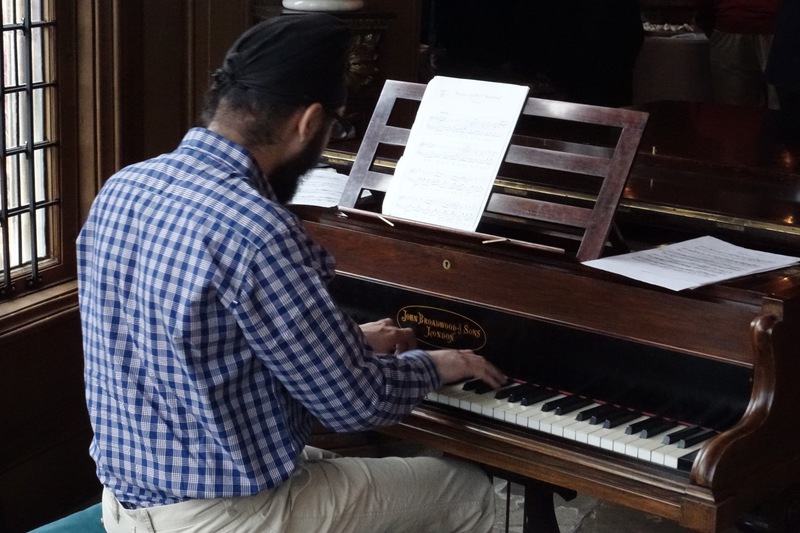 And as well as all these tours, and behind the scenes activities, we are also having a wine reception in the early evening, with very talented pianist playing the historic Broadwood piano in the Great Hall at TN…what’s not to like! And on the Friday we have some leading Antique Dealers talking about the history of their dealerships, and some of our Oral History Interviewees, ‘In Conversation’ – as well as some ‘Sandpits’ at the end of the conference, where the whole conference can get involved in discussing the issues raised and history of the antique trade – we hope that the conference will be a fully immersive and participatory event! 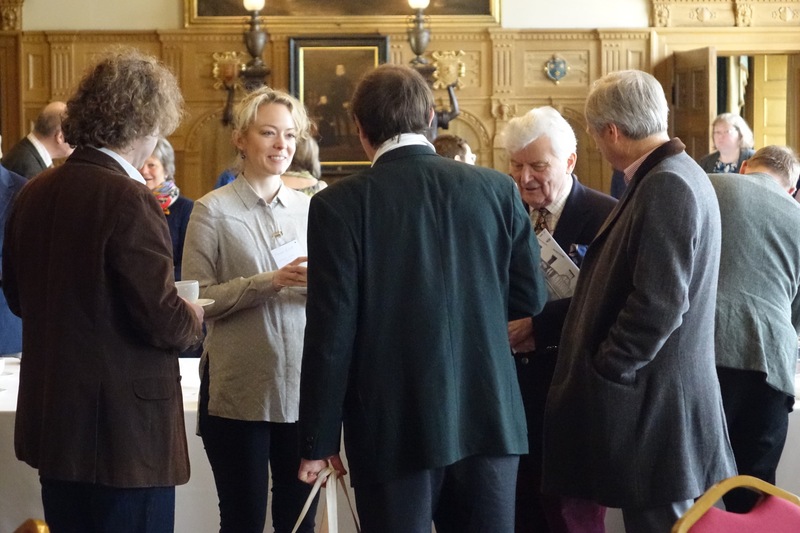 There are still a few places left for the conference if you are thinking of attending – you can book via the weblinks in the Antique Dealer project websites. 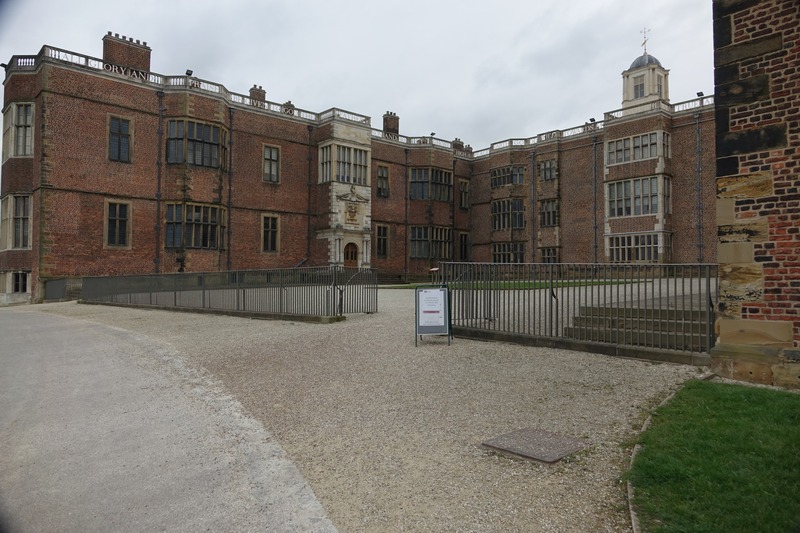 We very much look forward to welcoming everyone to Temple Newsam!